Download Pre-Meet free via AppsHawk. 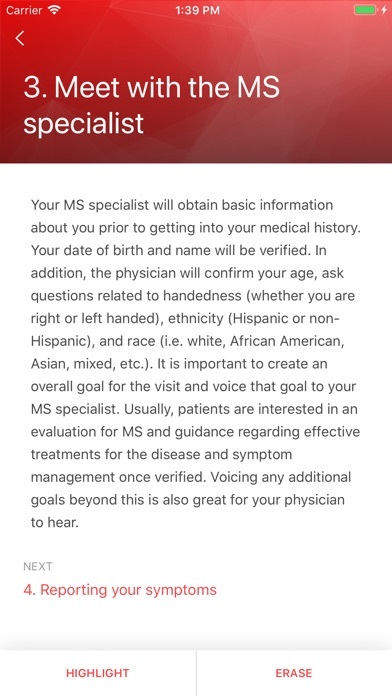 Pre-Meet: Multiple Sclerosis is designed to help patients who have been referred to a multiple sclerosis specialist by helping them prepare before their appointment, know what to expect during their examination, and learn crucial next steps to follow depending on the outcome of the appointment. Within the U.S., over 250,000 new patients visits occur annually for multiple sclerosis. 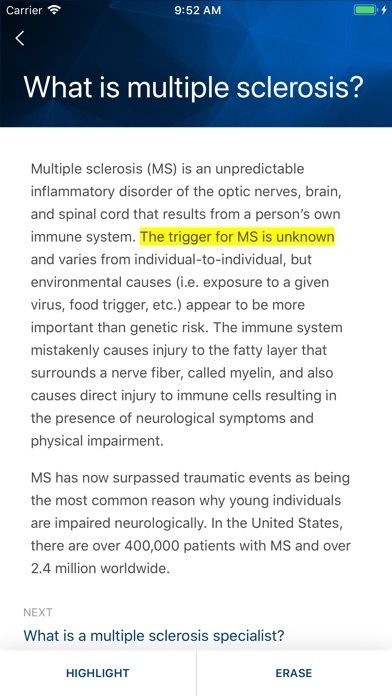 Furthermore, multiple sclerosis has surpassed traumatic events (i.e. motor vehicle accidents) as the number one reason why young individuals throughout the world are disabled. Approximately 400,000-450,000 Americans and greater than 2.5 million people worldwide have multiple sclerosis and frequently these patients seek opinions from new healthcare providers. Multiple sclerosis is an extremely complex and enigmatic chronic disease with no cure. Therefore, one can imagine how nerve wracking and daunting a simple referral is to a multiple sclerosis specialist, even before a diagnosis has been made. This app helps calm the many patients who are referred to a MS specialist who feel anxious and scared before their appointment. 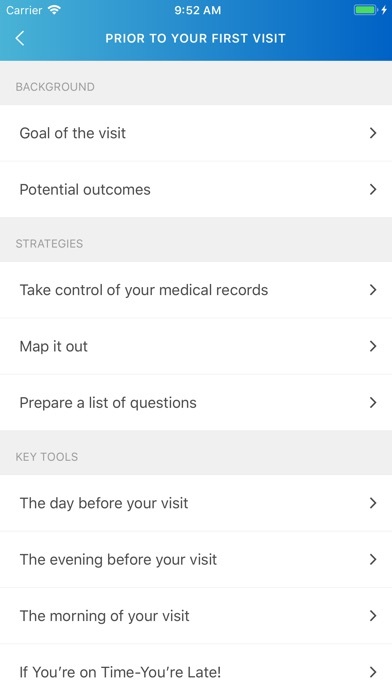 Furthermore, the app provides valuable insights into each step of the neurological examination and outlines key next steps to take after the appointment, including a general overview of multiple sclerosis and MS relapses. Ultimately, this app helps patients feel more in-control of their health appointment. 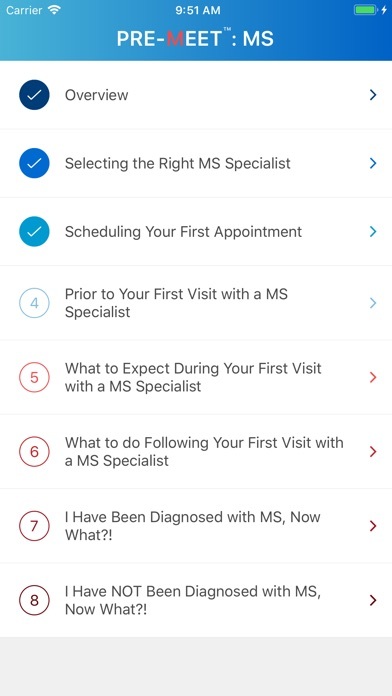 The app also provides guidance for those who may not be diagnosed with multiple sclerosis after the initial consultation. The contents of the app were drawn from real life situations of patients showing up to appointments widely late without necessary medical records and results. This is at no fault to the patient as often the patient was never informed about the items necessary to bring, when to arrive at their appointment, or the status of the records they previously sent. When patients are informed, clinics can run more efficiently and patients have more productive and positive healthcare experiences. 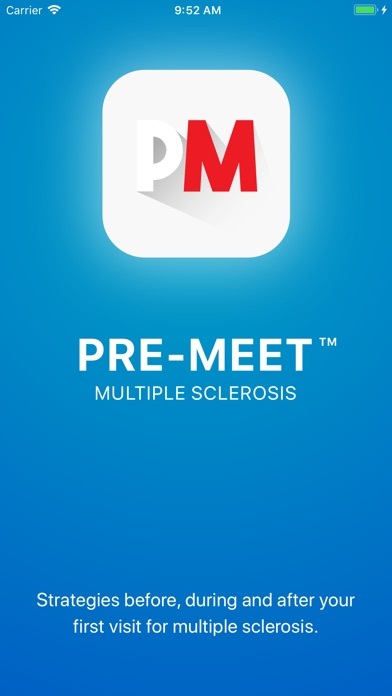 Pre-Meet: Multiple Sclerosis is the first app of a â€œPre-Meetâ€ series that will address the specific ways to prepare for a variety of specialty medical appointments like neurology, dermatology, cardiology, etc. 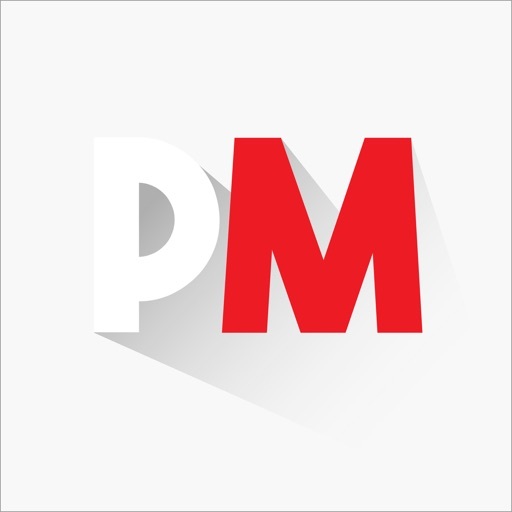 Designed by specialists within each field, the content of these apps will include crucial information patients need to know before, during, and after their appointment that cannot be found via an online resource or in hard copy.